Provo-based indie rockers Brother. toe the line between danceable, pop sensibilities and the introspection of indie rock. 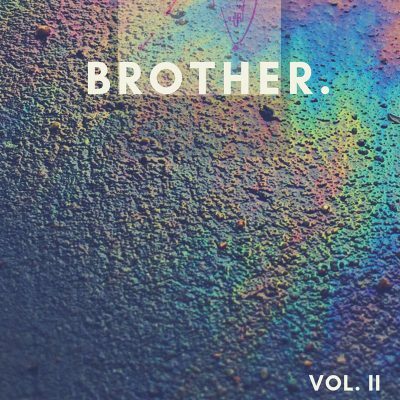 Brother.’s most recent effort, Volume II, proves their mastery over both genres as well as how far they’ve come since releasing Volume I in 2016. “Blunders” opens and welcomes with a richly hypnotic bass line and persistent a drumbeat that supports dreamy guitar chords, creating an almost melancholic, underwater feel. “Blunders” is probably the darkest track on Volume II, but strangely one of my favorites. The rest of the album cascades through a more upbeat, multi-layered soundscape. The second track, “Outside,” arrives at the more pop side of Brother., which I think shows off what they’re able to do both instrumentally and vocally to create something more upbeat. Lead singer/guitarist Chuck Emery’s layered vocals lend an otherworldly quality over bassist Erika Goodwin’s cheery lines. Influences from the likes of Bon Iver and Iron and Wine permeate the slower track, “Greys.” I felt myself slipping into the looped acoustic guitar riff paired with Emery’s voice, sounding almost like a ghost through the white noise of the cassette-tape deck before a break at the bridge of the song snaps me back into reality. There is a droning, repetitive quality to “Greys,” but it perfectly fits the soft, mesmerizing atmosphere of the piece.